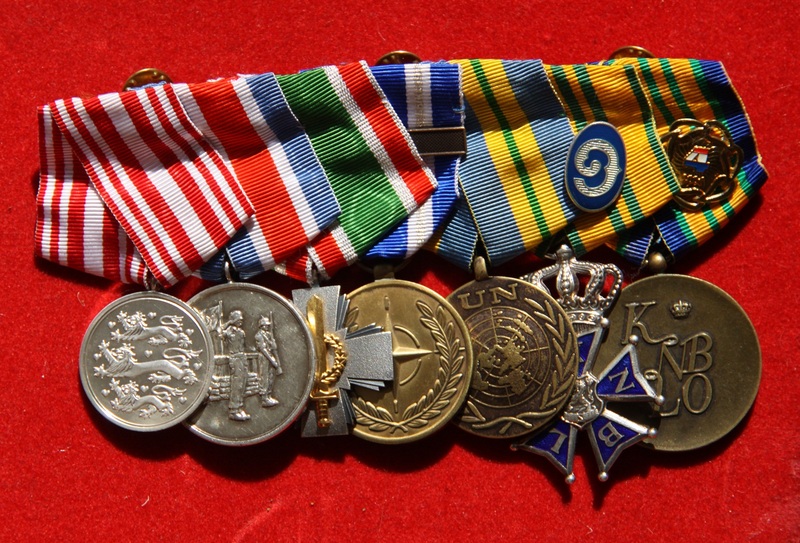 So this is how my official decorations look(ed - new Nijmegen medal now). For those not familar with the military code system, it should be plain here that the ribbon bar represents the medals. The ribbon can be worn in everyday duty, in case your wear a shirt (not on the combat uniform!). 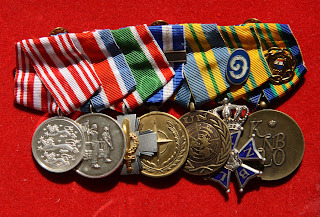 The medals themselves are only worn on special occasions, e.g. a parade under arms. Upcoming edit in August 2017: latest version medals and ribbon here.